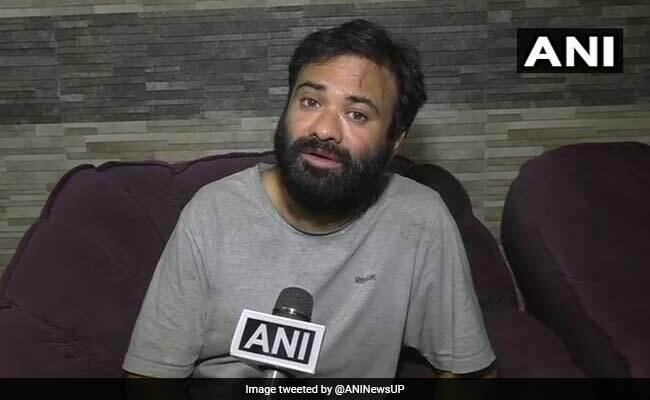 Kafeel Khan, who worked as nodal officer at the Baba Raghav Das Medical College, was granted bail by the Allahabad High Court on Wednesday. Kafeel Khan had written a letter from jail which was made public by his wife at a press conference. Gorakhpur: Kafeel Khan, who was charged with the death of infants at a state-run hospital in Gorakhpur last year, walked out of jail on Saturday. Dr Khan, who worked as nodal officer at the Baba Raghav Das Medical College, was granted bail by the Allahabad High Court on Wednesday. "Kafeel Khan was freed from jail this evening. Although he was granted bail by the Allahabad High Court on April 25, the delay was due to some other procedures," jail superintendent Ramdhani said. Various organisations, including members of 'Adhikar Morcha' wearing saffron scarves came in support of Dr Khan. They also carried banners and posters with 'Dr Kafeel hamara hero' (Dr Kafeel is our hero) and 'congratulations' written on them. After coming out of jail, Dr Khan hugged his wife and daughter and said, "The honourable high court has clearly said that there is no evidence against me. You know what my family went through in the last eight months. I do not know what my fault is". 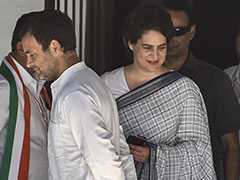 Dr Khan had written a letter from jail which was made public by his wife at a press conference in Delhi. More than 60 children, mostly infants, had died at the hospital within a week in August, 2017. There were allegations that the deaths occurred due to disruption in oxygen supply. The BJP-led Uttar Pradesh government, however, had denied that shortage of oxygen led to the deaths. In its report submitted on August 23, 2017, a committee under Chief Secretary Rajiv Kumar had recommended initiating criminal action against then principal of the hospital Rajiv Mishra, HoD Anaesthesia Paediatric department Satish, in-charge of 100-bed AES ward Kafeel Khan and Pushpa Sales. On September 2 last, Dr Khan was arrested and subsequently removed from his post in the hospital.